Lorton, VA | CMS GlobalSoft, Inc. announced today, that after a very rigorous certification and testing process, their flagship product, CMS WorldLink Xi, has now been certified from FedEx for immediate deployment of FedEx Ship Manager (FSMS) version 15. 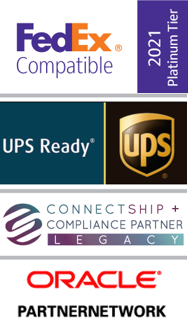 This new certification indicates that CMS WorldLink Xi supports all of the latest FedEx technology offerings and meets FedEx’s high-quality standards. CMS WorldLink will now offer various new features including Expansion of Global Domestic Services. The CMS GlobalSoft development team had to take numerous steps in order to obtain this certification, such as label testing, function testing, internal testing and brand testing. In order to ensure up-to-date FedEx carrier compliance for CMS WorldLink Xi users, the CMS team undergoes this certification process on an annual basis. FedEx Corp. (NYSE: FDX) provides customers and businesses worldwide with a broad portfolio of transportation, e-commerce and business services. With annual revenues of $34 billion, the company offers integrated business applications through operating companies competing collectively and managed collaboratively, under the respected FedEx brand. Consistently ranked among the world's most admired and trusted employers, FedEx inspires its more than 275,000 team members to remain "absolutely, positively" focused on safety, the highest ethical and professional standards and the needs of their customers and communities. For more information, visit newswww.fedex.com.